Don't Get Your Kids' Genes Sequenced Just To Keep Up : Shots - Health News Just because you can get your children's genome sequenced doesn't mean it's going to do their health any good, a report finds. 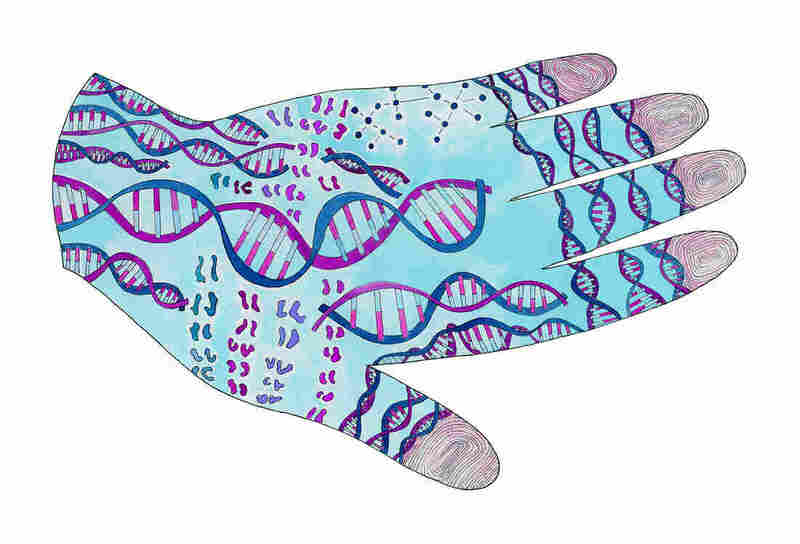 Most benefits from genetic medicine come from a tight focus. You can now order genetic tests off the Internet and get your child's genome sequenced for less than the cost of a new car. The question is, should you? Almost certainly not, according to the American Society for Human Genetics, which released a position paper Thursday intended to give parents some help navigating the dizzying world of genetic tests. "This is something that we don't think is ready for prime time for kids," says Dr. Jeffrey Botkin, a professor of pediatrics at the University of Utah and lead author of the paper. Back in 1995, the last time the society, which includes genetic researchers and clinicians, offered recommendations on genetic tests for children, they were weighing the risks and benefits of testing for diseases caused by a single gene. They discouraged getting children and teenagers tested for mutations that increased the risk of disease in adulthood, like the newly discovered BRCA mutations that cause breast cancer. "Families and kids end up dealing fairly well with that kind of predictive information," Botkin says. So the organization now says families should be given more leeway in making that own decision. Genetic testing has changed drastically since 1995. It's now possible not only to check for hundreds mutations that cause disease, but to scan and catalogue all of a child's DNA for a few thousand dollars. That's a lot of data. The problem, as this report points out, is that it's hard to know what's a harmless genetic blip and what could be life-threatening. That includes what scientists call "incidental findings" – we weren't looking for it, but here it is, and we have no idea what it means. "At the present time," the report notes, "the contrast between our ability to identify genetic variants and our ability to fully interpret the information gives rise to the many ethical issues in this domain." Because of that, the society recommends that rather than scan all genes and then try to figure it out, in most cases testing and analysis should focus on a single gene or a small number of genes that are likely culprits, based on a child's symptoms. "People have been attracted to this idea of well, let's just do the whole genome," Botkin says. "When you may be raising a lot more problems than you're solving. The more specific the test you can use, the better." Of course, you can now pay online to get direct-to-consumer genetic tests for cancer risks and all sorts of things. Other firms have offered chunks of your genome scanned by companies like 23andme, which offered health risk predictions before the Food and Drug Administration forced it to back off in 2013. Best to avoid direct-to-consumer genetic testing until companies can prove it's accurate and they provide reliable counseling, the society says. An increase in genetic testing is "inevitable," the report states, so doctors, nurses, physician assistants and counselors need to up their game and learn how to explain the complexities of genomic medicine.